These Plastic Pickup Truck Tanks are an easy way to move water from one location to next. Made in a range of low-profile styles, these tanks provide safe transport and increased visibility out the back of the vehicles. Uniquely shaped models (such as the one shown to the right) are designed specifically for the back of pickup trucks and feature a shape that allows for water transport around a location. 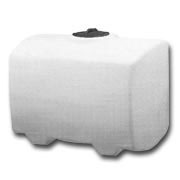 Additional portable plastic tank models include horizontal tanks, leg tanks and elliptical storage tanks. 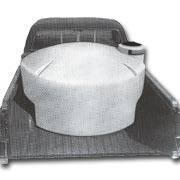 Additional portable plastic tanks include horizontal tanks, elliptical tanks and water trailers. For these and other options, check out our Plastic Variety Page.